RockLove is a jewellery maker, who started to produce Star Trek pieces in 2014. 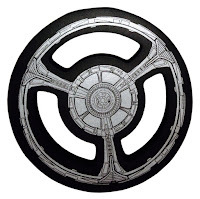 Their designs draw on various aspects of Star Trek, including insignia, props, starships, and text. This page lists all the Star Trek RockLove releases, in reverse release order (the newest pieces at the top of the page). Overview: Series of three Starfleet delta shaped pendant necklaces, with enamel colouring for each department. 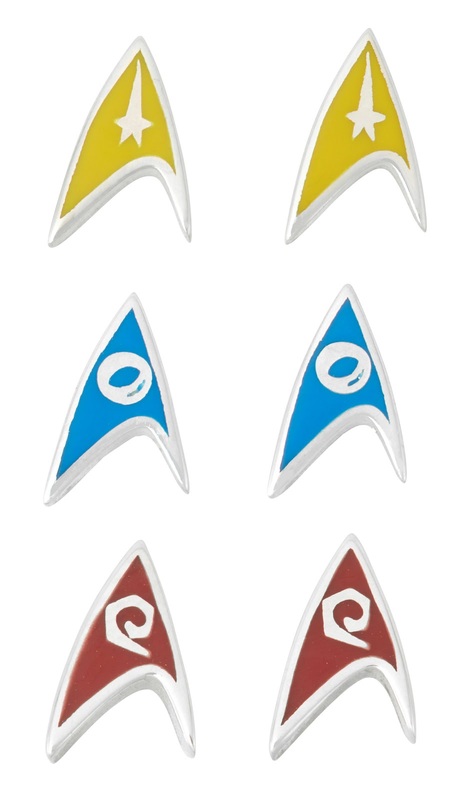 Overview: Series of three Starfleet delta shaped pairs of silver stud earrings, with enamel colouring for each department. 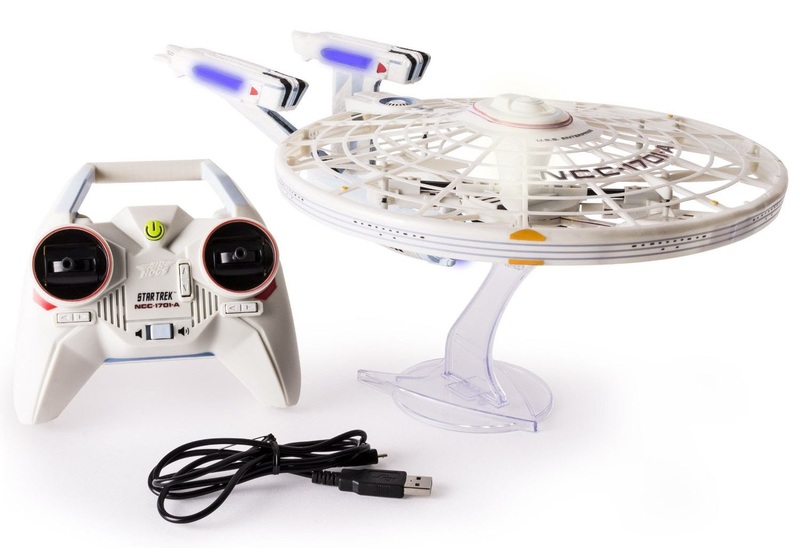 While the ships of Star Trek are wholly designed for space, and not naturally inclined for atmospheric flight, that has not stopped numerous toy makers over the year trying their best to bring model Star Trek starships into the air. This page lists those efforts, in reverse release order, with the most recent flying ships at the top of the page. Overview: A remote controlled quadcopter, with the four propellers contained inside the saucer and lightweight polystyrene making up most of the rest of the ship. Also features lights and sounds. Maker: Spin Master: Air Hogs. Coverage: Toy Fair Announcement, images and video. Overview: A hand-thrown foam flying disc with prints and cut-outs making it DS9-shaped. 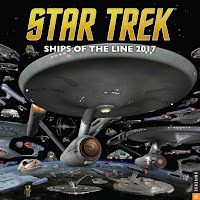 This page is a list of 2017 Star Trek calendars. 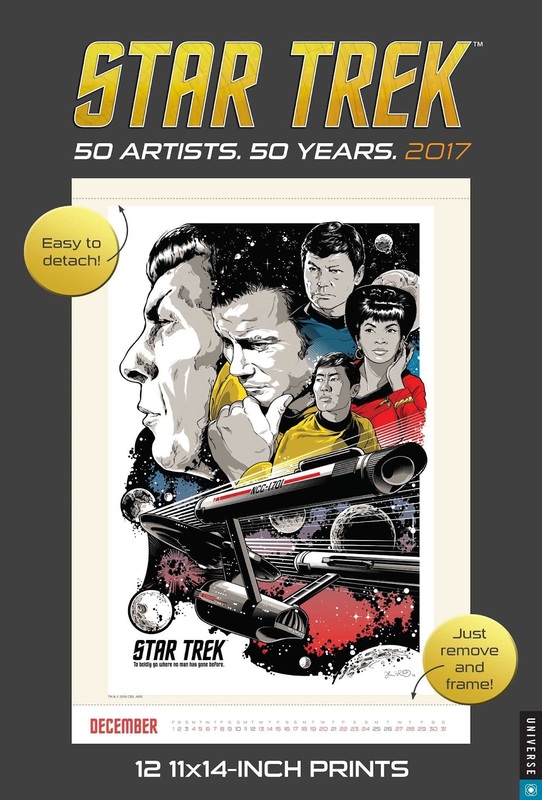 With the latter half of the franchise's 50th anniversary, and recent release of the movie Star Trek Beyond, 2017 is a bumper year for Star Trek calendars - Three publishers have calendar ranges; Universe Publishing in the US, Danilo in the UK, and Heye in Germany. This list is sub-divided into the releases of each publisher. Overview: Starship art calendar in the long running Ships of the Line series, this year almost exclusively featuring TOS inspired imagery. Coverage: Covers and preview pages. Overview: A new format in the 2017 range, a poster calendar featuring art from the 50 Artists 50 Years exhibition.